As much as I love nail art, sometime a situation calls for something a bit more formal on your nails. I have an important meeting this week and because I get really bored with plain nails, this was my compromise. After base coat, paint all your nails one colour . 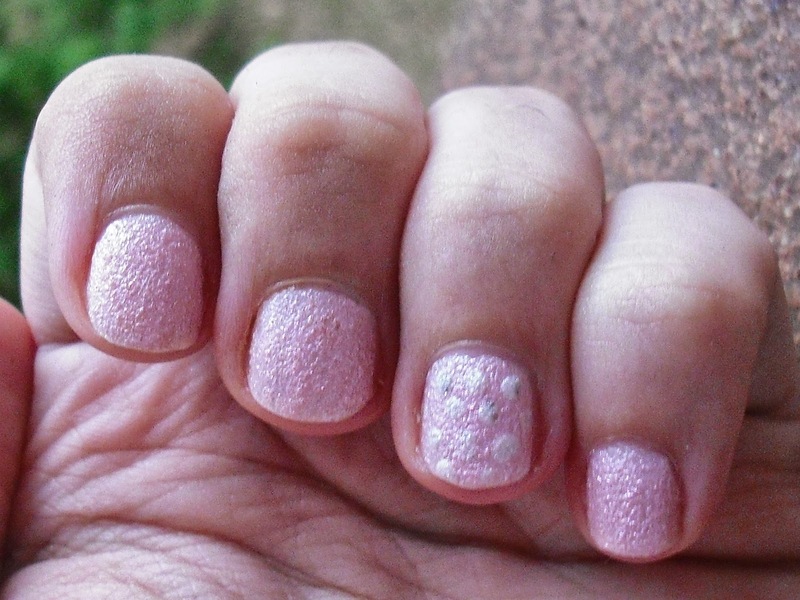 Only your ring finger, use a dotting tool to create an accent nail with polka dots. If you want to keep the accent nail subtle, use a shade that is similar or compliment the base colour. If you used normal nail polishes finish with a top coat, however since I used liquid sand polishes it wasn't needed.